Home value estimators answers "What is my home worth?" A home value estimator is a powerful tool to generate leads and now local brokers and agents have the ability to add this appealing feature to their own website, just like the mega-real estate sites. It’s no secret that a very large real estate website we won’t mention has literally put itself on the map by offering consumers a home value estimator widget. Consumers were immediately drawn to the site by this online feature that let them check estimates on the value of their property. And their neighbors’ property. The great advantage about today’s data technology, is that an agent or broker doesn’t need a million dollars to do the same thing. In fact, the whole process of adding a home value estimator is now relatively easy and inexpensive. Data providers such as Home Junction have the ability to provide the same technology for brokers and agents (and frankly any business). And wow, what a powerful lead generation tool. What an effective traffic-generating tool! What an incredible branding tool! Let’s face it, everybody loves to check the value of their home. Not just once, but on a regular basis. It’s human nature. Especially if the market is strong and prices are going up. Looking at Recent Home Sale trends and watching the value of your home increasing is like some invisible entity putting money into your pocket. For consumers, that’s downright thrilling. As a broker or agent, you are going to want to have this in your marketing toolbox. Here’s how the Automated Valuation Model from Home Junction works. Simply install the Home Value Estimator widget onto your website by adding a few pieces of code. Place the “Home Value” address bar right on the home page of your website, or another page. (Go to www.roywheeler.com to see an example of effective placement). The consumer enters in their address. The home value algorithm kicks into gear. Relevant data points are generated from a variety of sources – public record data such as tax rolls, MLS data, previous home sales in the area, etc. – Details about the property – number of bedrooms, bathrooms, etc. – “Predicted Market Value.” This is the estimate created by Home Junction’s proprietary formula. Remember, it’s only an estimate and be sure to educate your prospects that the result will be a broad estimation of their home’s value. – Confidence Range. This is a disclaimer in a way, letting the user know that the number provided is part of a wider range of values. So, to be clear to the user, a confidence range of 6%, plus or minus, is also stated along with a dollar amount. Included is a pricing range, showing the Low and High amount. Again, this tool is to inform consumers that this instant estimate is a rough overview of the potential value of their home. As you know, there are so many variables that go into the pricing of a home, such as the condition of the house, floor plans, local market changes, etc.. It really is impossible to price a home exactly without an actual visit by an agent or appraiser. This tool is only meant as a beginning point. More importantly, it’s a catalyst that prepares this visitor to start a dialogue with an agent and ask for a more detailed comparative market analysis. – Request “Professional CMA.” There it is. The lead generation tool. The money-maker. 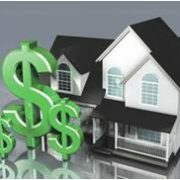 Consumers who are interested in truly obtaining an estimate of what their home is worth will click here. That makes them highly qualified. A very valuable lead. Your own lead, not one you need to buy from someone else. – Comparison charts. Also included are charts that show a comparison range based on certain criteria. Those factors are Size, Price, Price Per Square Foot and Age of the property. For example, the user’s home may be only 15 years old, while the average home in the marketplace is 60 years old. That indicates this home is newer than 87% of the other homes in the area. Or take the size. This home in particular may be 2,500 square feet while the average home is only 1,800. Therefore, the owner sees their property is larger than 81% of other homes in the market. Another comparison factor may be price. According to the Home Value Estimator, the Predicted Market Value of this home may be in the top 22% of the market compared to others. Same goes with Price Per Square Foot. The chart will show if the average price per square foot for this particular home is higher or lower than others. Further down the page, an agent can show another widget which feeds in Recent Sales in the Area. A homeowner can then look and see what that home down the street sold for and when. Think of the power of ALL that data surrounding a person’s most valuable possession. These tools give a homeowner an incredible, multi-faceted snapshot of their property. All of those charts provide an array of powerful data that gives a homeowner an overview of their property’s value. That’s a feature EVERY homeowner will appreciate. It’s certainly a feature that can be promoted over and over again in email blasts, mailings and social media. Combine it with other insightful real estate data tools and charts. Talk about a magnet. Who wouldn’t want to see how much their home has appreciated? When that happens, that visitor turns from an Internet surfer into a hot, qualified lead. A very strong potential for a listing. A home value estimator is a powerful lead generation tool. As we said, it helped to build a multi-million dollar real estate website from scratch. This widget is not only useful for creating leads for real estate companies, but can also be offered to the public by banks, mortgage companies, investor services and other businesses. Providing a Home Value Estimator on your website levels the playing field. You will now have the capability to generate your own leads without paying for them, draw people to your own website and build up your own brand. That’s not a guesstimate. It’s a fact.